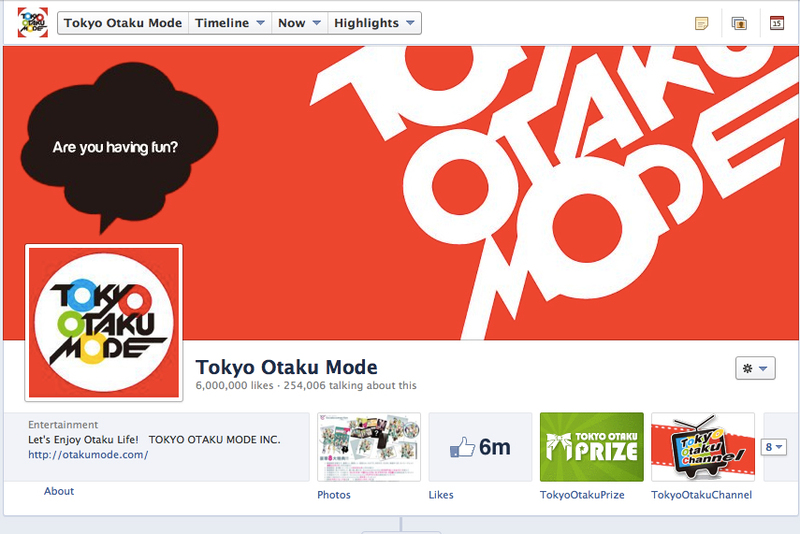 Tokyo Otaku Mode™, The world's first Japanese anime and manga Facebook page to surpass 6 million likes. 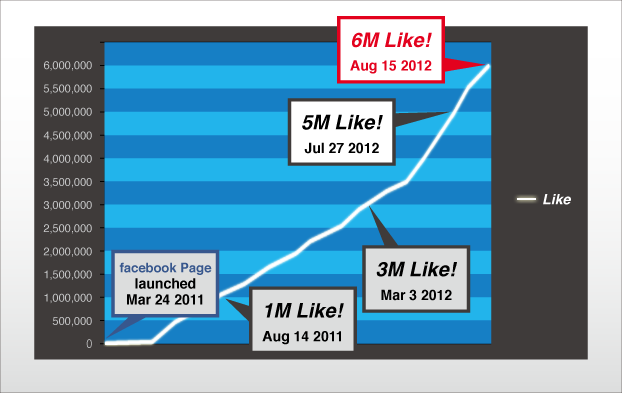 On Aug 15, 2012, Tokyo Otaku Mode Inc. announced it has achieved 6 million likes on its Facebook page (facebook.com/tokyootakumode). Tokyo Otaku ModeTM (TOM) is the leading platform for Japanese otaku news and content. Every day, TOM shares the latest news on figures, anime, manga, and cosplay directly from Japan. TOM launched its Facebook page on March 24, 2011. Within two months, it reached one hundred thousand likes and just six months later it passed one million likes. In only 16 months since its launch, TOM has surpassed 6 million likes, becoming the world’s largest Japanese anime and manga Facebook page. Tokyo Otaku Mode™ was created on March 24th, 2011, by President and CEO, Tomo Kamei and was incorporated in the state of Delaware, U.S.A. in April 2012. TOM began on Facebook, the world’s largest social networking site, as a page for introducing news and events related to Japanese otaku culture. Within 16 months of operation, TOM has accumulated over 6 million likes on Facebook, becoming the largest Facebook page managed in Japan. TOM's website, otakumode.com, is currently undergoing alpha testing. TOM announced in July 2012 that it has received funding from Silicon Valley startup accelerator 500 Startups, Richard Chen, and Maneesh Arora, as well as other Silicon Valley and Japanese angel investors.